When Frigglearned from Odin, what awaitsher beloved son fell into despair. She continued, however, to think, how can protect Baldr woven by fate. In the end, she had an idea. 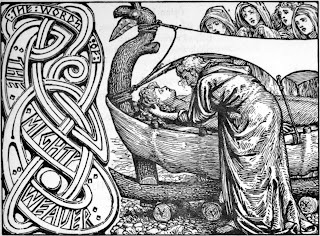 As the highest goddess, the wife of Odinand Lady of theLife,called before his face every living thing on earth, and all that is dead, rockor metal, and told every plant, every animal, man or god swear thatwill not doharm of Baldr.All creatures with joy made the promise. Even the silent stones joined these assurances. Frigg face brightened, now she was surethat ensured the safety of his son. Today I invite you to journeyto the majestic Jomsborg through the Vikings called men of JomsorJomsvikings. I think the vast majority of collectors or players do not like the view is not finite figures, a unit or the army. Therefore, I try to finish all your painting projects. Now they're at the end of a chapter of the Jomsvikings Saga. 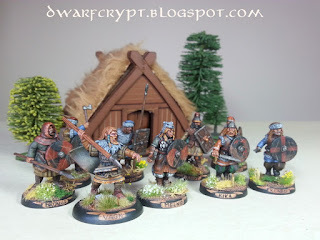 About two months ago I finished Gripping Beast mini depicting Vagn Akesson and model of the mythical commander wanted for some time to finish the adventure of Jomsami. However, I held another endless band of warriors, who are just now completes the look of the team. I just got back fromSeeBloggers, the largestevent forbloggers andonlinewritersin Poland, and I have a head full ofideas andinspiration. But the event itselfnext time. 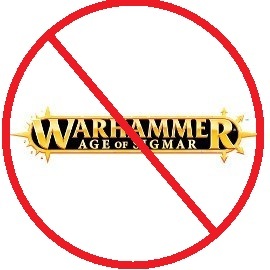 Today I would liketo return togame reviews"without power" and thateven withoutthe admixture wargaming'u. I do not know whyI abandonedthis idea three years ago and devoured the rest of thefiguresin thepaintinglarge and small. 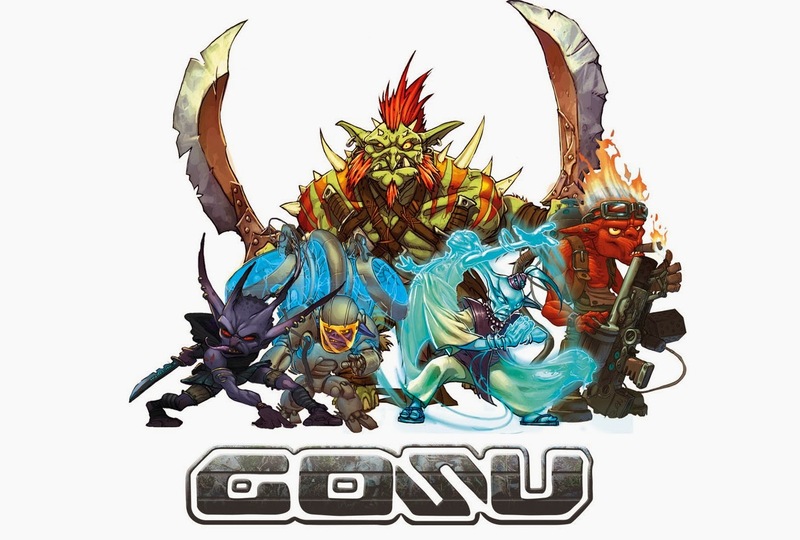 I decided from time to time publish a review at a more interesting game, which I have, or I played. 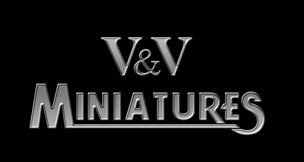 And horror of horrors will not be playing in miniatures wargaming. so, I invite you! Wróciłem właśnie z See Bloggers, największego wydarzenie dla blogerów i twórców internetowych w Polsce, i mam głowę pełną pomysłów oraz inspiracji. Ale o samej imprezie następnym razem. Today I return to the World War II climate. 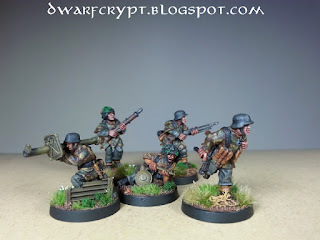 For this reason, the first three grenadiersof the new unit (surrounded by the Panzerschreck team) NCO, LMGand the loader. 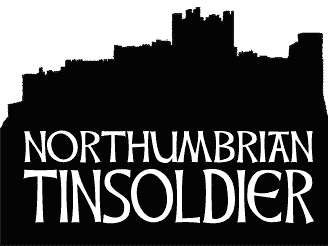 Formed an order dated November 1, 1940, after reforming 19th Infantry Division. Initially stationed in Germany, going into the 11 Army. ... Actually Harleen Quinzel, which recentlydoesfulminantcareer andexperiencinga second youth, thanks to refreshthelatest DC Comics universe 'SuicideSquad' movie. Before turning toresumethis lady, a few words of themodel. 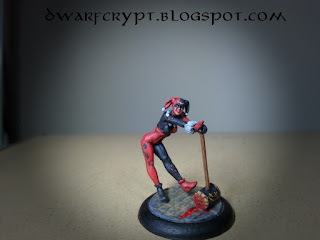 Harley comes fromBatmanMiniatureGame system,embeddedin the realities ofthe Dark Knight. BelovedJoker, in this version, has a classic costume known from comics and animated film. And nowwe return to theheroine ofthe entry!